Smalltown Dreamz: Mini Witches Hat Pattern Released!! 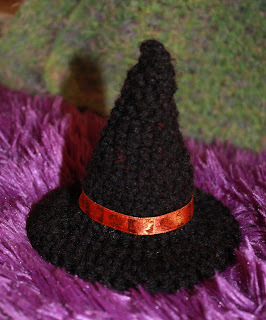 The Mini Witches Hat Pattern released today. 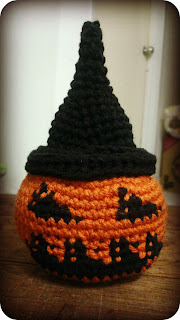 On some other pattern news today I was able to finish the video tutorial for the new pumpkin pattern. This pattern will hit testers this weekend.I am really looking forward to releasing this pattern. I am very proud of the way the pumpkin pattern turned out.